Available as a 3-strip plank in standard oak, our Professional 14mm thick wood floors are perfect for special renovations in homes, shops, hotels, restaurants and offices. Easy to install with a user friendly, glue-free locking system. 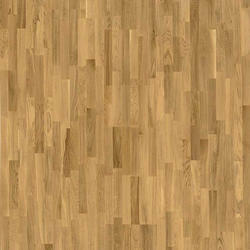 Treated with either a matte or semi-gloss finish to protect each plank's distinctive grain and structure.